The story of Mowgli, the man-child raised by wolves, has been an essential part of children’s libraries for a century, never more popular than when Walt Disney turned it into an animated hit in 1967. Nearly fifty years later, director Jon Favreau reteams with Disney to continue their interesting trend of remaking and expanding upon their most iconic properties with films like “Alice in Wonderland” and “Maleficent.” This is a loyal remake of “The Jungle Book,” told with state-of-the-art special effects that allow voice actors that include Bill Murray, Scarlett Johannson, Idris Elba and Sir Ben Kingsley to morph into their animal characters. 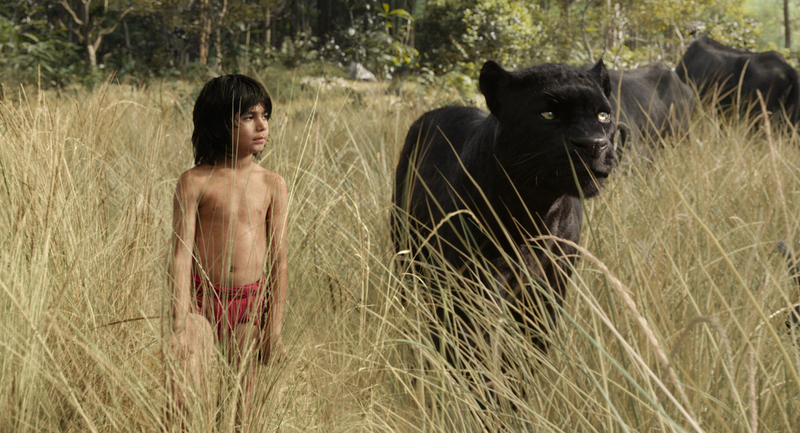 13-year-old newcomer Neel Sethi stars as Mowgli. The young actor, as full of energy as anyone I’ve ever interviewed, came to Chicago with Favreau to discuss how they made the film, why this legend has maintained, and even what Bill Murray taught the future star, who I learned had just seen the finished film for the first time the night before our interview. First impressions. What did you think? NEEL SETHI: I was holding popcorn and when it started I jumped up and yelled and it flew everywhere. And then I was looking. Is it like a spoiler? I’m in a treetop and I look down and the tiger’s about to jump at me and I jump back like “Whoa” and popcorn spreads all over the floor again. I’m watching and eating popcorn and it’s dropping, and I see my name and I’m like yeah and just spilling popcorn on my mom! Is he this energetic all the time? JON FAVREAU: Yeah. We worked nine months. Long hours. And he was doing schooling during it. And every shot was with him. That’s actually where I wanted to start. JF: It’s a lot to ask of somebody, even a seasoned grown-up. What was good is he’s a smart kid and there was a lot to learn. And the people on the set were totally with him. He learned everybody’s name within the first couple weeks. He had a relationship with every member of the crew. So it very much felt like a family. And there was always something new to do. One day he’s hanging from ropes. One day he's running in the rain. There was always something different. And the hours weren’t that long. When you’re a certain age, you can only work a certain number of hours. It was a long shoot, but it was always interesting. It’s such a physical performance, which I wanted to talk to both of you about. He’s always moving his arms and legs in wide patterns. He looks very active. He’s very rarely standing still. And I wondered if that’s a directorial call so the CGI animals don’t draw focus. JF: No, that was him. [Laughs] He has a certain way. 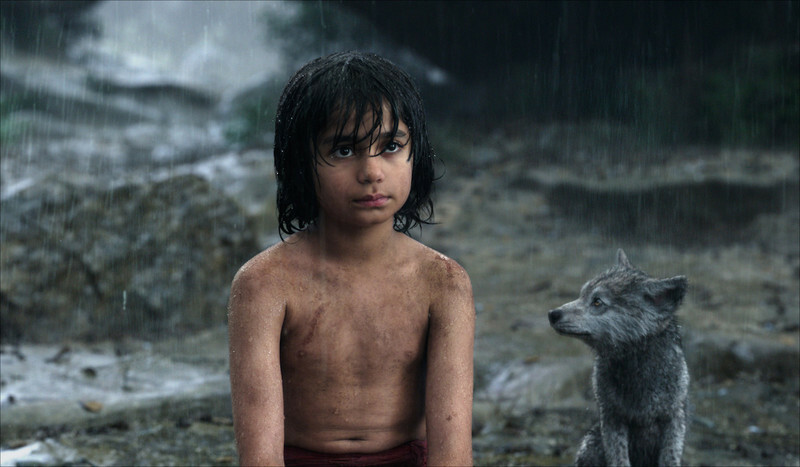 And if you look at the old ’67 film, Mowgli has a physicality that’s unique and feels like a boy. Even with digital doubles and things, which we use occasionally, we really had to use him. You could tell it was not him. When he was running on the logs and things—that was the shape of what he was running on, so he was swinging his arms a lot. How hard is it to act opposite things that aren’t there? How hard is it to use your imagination? NS: It wasn’t that hard. Jon really helped through everything. He got in the water tank with me when it was a river scene. There were a lot of puppets. He would take the puppet and act with me. He got in the mud and rain with me. JF: And because we paint out whatever else is in there, we always had people. You weren’t just looking at an X. I know from being on a set that if you have a script and you’re looking at an X it doesn’t bring out the same thing. We brought in the Henson Puppeteers. When they stick their hand in that puppet, it comes to life. You don’t want to lose that spark. You don’t want to lose that subtext, that connection. You see the little flash of light in his eyes. There was always someone there? JF: A puppet, but the puppet was like a person too, doing lines. In many ways, better, because they do characters like improvisers. The puppeteer scene is a lot like the improv scene. They’re also great because you’d get the right eyeline. And we’d build puppets who would cast the right shadow on him. 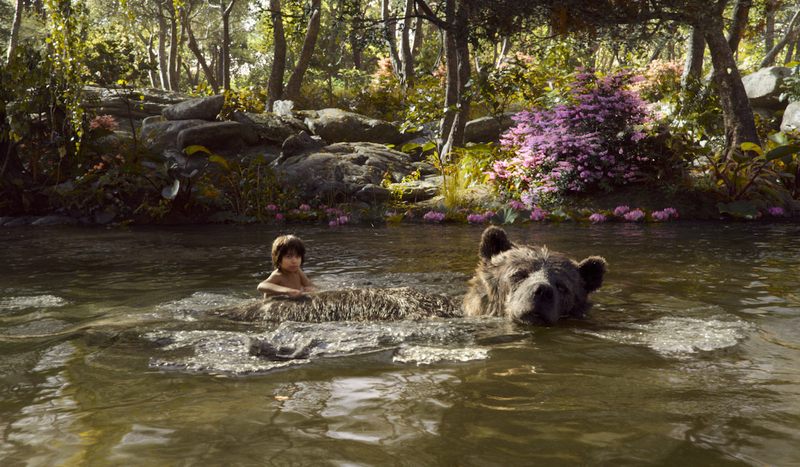 If he’s walking next to Baloo—we had a Baloo-sized puppet that two people would have to use. How hard is that to sync up with the voice work? There are so many different steps. And it still feels so organic. JF: That’s all I cared about. That it felt organic. Whether it was the way the fur was rendered or how the performances played out. It had to feel effortless. Both of you—why do we keep coming back to these stories? Did you know it before you got involved? NS: I did not, actually. But when I heard about the role, I watched the movie and it was so different. Maybe it was because I could possibly be in the movie but it was also so cool that I didn’t want to stop watching it. And then after I watched the movie, I was like there’s #2, right? I never got to it. JF: For me, I saw the movie when I was little, and watched it over and over again. So it had deep impressions, but the trick I learned from “Iron Man” was “don’t go to the source material immediately”—make a list of the things you remember from it. What sticks in your memory the most should be weighted more heavily than what you notice when you watch it now. So, the images I remembered were “Baloo in the river,” “the snake with the eyes,” “the temple collapse with the monkey”—and I remembered the singing. I remember the torch and the tiger, and then you go back and look at it now and it’s a different experience. But it’s helpful, but I don’t weight it as heavily as what’s seared in my memory. And then you look at the books. I guess the bottom line was, the thing that the book played with, and, by the way, George Lucas and James Cameron play with, is you take the Joseph Campbell old myths and then you use new tech to tell them in a new way. You go back to the old stuff and I don’t mean the movie or the Kipling—I mean the feral child myth; Romulus and Remus; the Prometheus myth. Look at “Avatar.” You’re looking a story that’s been told again and again, but they’re doing it in a new way. Spectacle. “Star Wars” was that. I saw “Star Wars” and I thought it was the freshest, newest thing I’d ever seen. My dad saw it and thought it was like an old Saturday morning serial. I had no context for “Flash Gordon” or whatever my dad was referring to. And then my dad turned me on to the old Akira Kurosawa stuff; all the Samurai stuff. And the Samurai stuff was Westerns. And so if you look at this, I had a lot of room to play with those big images—fire, water, air, earth, rain. This is the stuff that first gets cut out of my schedule. I say, “I see this scene in the rain.” The first budget meeting—“we got to cut a couple days. We really need the rain?” I’ve only used rain once or twice in my whole career. Everybody’s looking at you like you’re being a diva for wanting rain, but you look at the Kurosawa movies and you see the wind and the rain and the fire and you want to try to emulate these great directors that you look up to and you don’t get to make movies like that now. If you look at the way Shere Khan enters, it’s like Leone. That’s the Western myth—man vs. wilderness. The last settlement on the edge. The outlaws facing the people who were trying to civilize. We’ve been telling stories of what’s over the horizon since pen was put to paper. I was thinking before this that my kids love “Elf” and “Iron Man” and are likely to love this. To me, it almost feels like you’re emulating filmmakers like Zemeckis and Spielberg from when I was a kid. Was that always the path you wanted to take? JF: No! Not at all. I was in Chicago doing improv. And then I got “Rudy.” I was here, hoping to get on “SNL;” hoping to get a sitcom. Maybe do some funny movies. Maybe work my way up to being a Woody Allen type. “Swingers” kind of jumped all that. I was already writing. Then it became really following opportunities that came up. Doors opened, seeming randomly. You jump through the ones for which it seems like there’s something interesting on the other side. Then that segued to writing to directing to acting again. Sometimes doing it all, like with “Chef.” The one thing I know for sure: You have to have tremendous passion. Especially something like this that takes so long. If you don’t have passion, it’s going to seem tedious. If you do love it, it’s a big jigsaw puzzle you can’t get back to. What did we learn from the voice cast? What did Bill Murray teach you? NS: Bill Murray taught me how to catch a football really well. We played football together. Jon made a really good brisket. The voice cast is great. JF: Aren’t they great? And we had free rein to do celebrity casting because that was the only celebrity cast Disney movie. Those were all recognizable voices. So, I’m like, “Let’s not shy from it.” Chris Walken, I don’t think was obvious to everyone, but now that people see it. You can only borrow so much from the G-rated kids movie, so this was an opportunity to have a big action set piece. I was working with WETA, and we were like we could do something really cool here. It was more like “Apocalypse Now.” So we “aped” the lighting from “Apocalypse Now” and then you have Walken open his mouth and he has such a special delivery that’s both interesting and quirky, but also intimidating. You’re not joking the movie out or losing your story. It was just awesome. And then we made it look like him. Animated it his performance. NS: I love when he’s in the dark and comes out and shows his face. Next Article: Put 'Em In the Stew: Jeremy Saulnier on "Green Room" Previous Article: A Family's Mosaic: Joachim Trier on "Louder Than Bombs"